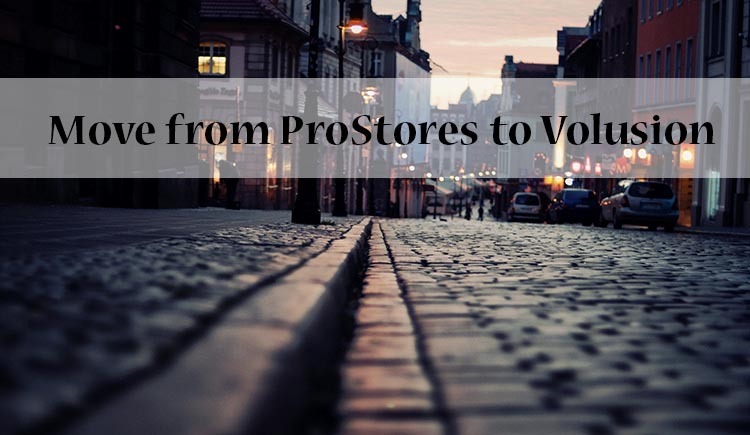 It is not a regular post comparing ProStores to Volusion to find the ultimate candidate for your online shop. It could be, but for one reason - ProStores is shutting down. So, it’s not a candidate anymore, we are going to find you another shopping cart that would best match your expectations and needs. Let’s see how it would look when opposed to what ProStores provides to e-merchants. Volusion has been around since 1999, and has solid experience in e-Commerce field. Similarly to ProStores, it is a web-hosted cart, and paid on a monthly basis as well. The important thing you must be concerned with - Volusion has built-in e-Bay integration, so you’re not going to lose here. At this point, major similarities end, so time to take a look at the new features you might get if you pick Volusion. With a number of packages starting from $15 per month, you’ll be able to select the most suitable one. A great thing about this platform - there are no transaction fees, which makes a positive difference from ProStores. You will be protected against fraud with this cart, as Volusion is PCI-DSS verified, which, in layman’s knowledge, means it’s security is really strong and compliant with high standards. Also, Volusion provides excellent online presence opportunities as you can run a Facebook store and integrate with social networks - a must-do these days. Volusion presents lots of features to engage your customers - like daily deals, wishlist, reviews, feedback and ability to create coupons and discounts. Apart from that, it also helps decrease the number of abandoned carts with the “soft add to cart” - without leaving the page, and abandoned/live cart feature. With Volusion, you can sell downloadable products, which wasn’t available with ProStores, and take phone orders via built-in POS. It also offers a customer relationship management system (CRM) to ease up communication with your clients. As to the other essential things like design and user-friendliness, Volusion is good in both, providing a comprehensible admin area and 120+ free templates to select from. Add a 24/7 support and you get a very decent e-Commerce solution. So, if this looks interesting enough to make you wanna move from ProStores to Volusion there and then, don’t miss the infographic below to show you the trouble-free way to do so. Cart2Cart will take care of your data migration to let you focus on the new store setup. Don’t put off the deal till the last moment - set up your Demo migration now to see how close your dream shop is.